Judge Augustin H. Hansell spent 50 years on the bench of the of Southern Circuit of Georgia during which he tried many, many cases in Berrien County (see The Misadventures of Mr. Stewart, The State vs Burrell Hamilton Bailey, and Trial and Incarceration of James Thomas Beagles.) In 1855, The Southern Enterprise reported Augustin H. Hansell was on the state ticket of the American or Know-Nothing Party as candidate for State senator; in this election, the judge advocated for the Brunswick & Florida Railroad and resented the charge that he was a prohibitionist. He was a representative of Thomas County, GA at the Georgia Secession Convention of 1861, and signed the Georgia Ordinance of Secession along with: John Carroll Lamb, of Berrien County, who would later serve as a captain of the Berrien Minute Men and a major of the 29th Georgia Regiment; and Colonel Carey W. Styles of Ware County, who commanded Captain Levi J. Knight’s company of Berrien Minutemen while they served with the 13th Georgia Regiment at Brunswick, GA. He was a member of the Constitutional Convention of the of 1877, along with Ray’s Mill (now Ray City) resident Jonathan David Knight. Memorial services in honor of the late Judge Augustine H. Hansell were held at Thomasville Monday afternoon. Judge Hansell presided over the Southern circuit for fifty years, and there was a large attendance of lawyers from all over the section. The memorial committee appointed by Judge Robert G. Mitchell to have charge of the exercises consisted of W. M. Hammond, of Thomas, chairman; W. B. Bennett, of Brooks; O. M. Smith, of Lowndes; H. B. Peeples, of Berrien; John A. Wilkes, of Colquitt; J. R. Singletary, of Grady; C. W. Fulwood, of Tift, and R. G. Tison, of Echols. Captain Hammond, as chairman of the committee, delivered an eloquent eulogy – reciting the long public service of the honored judge. A handsome portrait of Judge Hansell adons the court room, where the service was held. The following sketch of the life of Judge Hansell is a composite of the memorial given in the Report of the Twenty-fourth Annual Session of the Georgia Bar Association, 1907 and biographical material contained in A History of Savannah and South Georgia, Volume 2, 1913. Augustin H. Hansell was born in Milledgeville, Georgia,, on the 26th day of August, 1817. He died in Thomasville, Georgia, on Sunday morning, February 11, 1907. If he had lived until August 26, 1907, he would have reached the age of ninety years. While it is rarely the case that the allotted life of man is extended to the extreme age which Judge Hansell reached, it is still more rare, even to being remarkable, that one who lived for a period approaching a century should have spent nearly the entire time of so long a life in constant activity and service. Judge Hansell was practically “in harness” from his early manhood until the date of his death. From the time he was eighteen years of age until within a few years of his death he was actively and constantly engaged in service to his State and to his people. 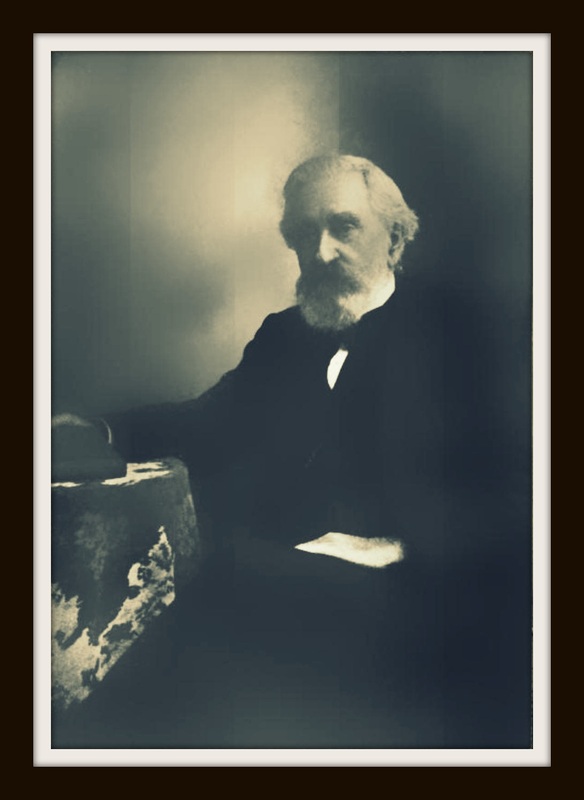 Augustin Harris Hansell… being reared in one of the prosperous homes of Georgia, was given excellent advantages. Prof. Carlisle Beaman was one of his tutors in general subjects, and he studied law under R. K. Hines and Iverson L. Harris. After admission to the bar he began practice at Milledgeville, and for a time served as private secretary for Governor Gilmer. At the age of eighteen Judge Hansell served with distinction in the War of the Creek Indians of 1836. He was on the staff of General J. W. A. Sanford, of Baldwin county, and by reason of meritorious service was offered the promotion to a Major by General Sanford, but declined such appointment. Judge Hansell’s family relations were ideal. He was married to Miss Mary Anne Baillie Paine, of Milledgeville, on May 20, 1840. For sixty-six years they lived a perfectly happy married life. Her father was Charles J . Paine, a native of Petersburg, Virginia, and a physician. As a young man he came to Georgia and was engaged in practice at Milledgeville until his death in 1857. Her mother was Ann Baillie Davies, the daughter of William Davies, a native of Savannah, and granddaughter of Edward Davies, a native of Wales, who was one of the early settlers of Georgia. William Davies also conferred honor upon the legal profession of Georgia, and served as judge of the superior court and was mayor of the city of Savannah during the War of 1812. William Davies married Mary Ann Baillie, the maiden name of whose mother was Ann McIntosh, a daughter of John Mohr McIntosh, the immigrant ancestor of the noted McIntosh family. Judge Hansell was elected to the Georgia Legislature in 1845 and represented the County of Pulaski. In 1847 he was elected Solicitor-General of the Southern Circuit and served for two years, at the end of which time he resigned to accept the position of Judge of the Superior Court of the Southern Circuit of Georgia, then embracing the greater part of south Georgia. Railroads had not yet penetrated to this region, and he journeyed from court to court in his private carriage. For some years, until 1850, he was a resident of Hawkinsville, then in Scottsboro two years, and in November 1852 came to Thomasville, being one of the most prominent among the early settlers of this locality. He resigned the position of Judge of the Southern Circuit in 1853, But went back on that bench in 1859. Judge Hansell was a member of the Georgia Secession Convention in 1861 and took a prominent part in that historic body. He did not enter the Confederate service in the War between the States on account of the fact that he was Judge of the Superior Court of the Southern Circuit during such war. He, however, gave to the Confederate cause his earnest sympathy and support and actively rendered efficient service and help as Chairman of the Relief Committee from Thomas County. During the siege of Atlanta he went to that city and aided in the relief of the sick and wounded. He was a tower of strength to his people during the stormy days of Reconstruction. He remained as Judge of this Circuit continuously until 1868, when he was removed from the bench by the Reconstruction Governor of Georgia, Rufus B. Bullock. He resumed private practice for four years, but in 1873 he was again elected Judge of the Southern Circuit and continued to serve in such capacity, being elected term after term without opposition, until January 1, 1903, a period of thirty continuous years in the service of his State. He was a member of the Constitutional Convention of 1877 and did efficient work in that Convention in framing the State Constitution. He took an active part in the various Conventions of Judges that compiled the rules of procedure and practice for the Superior Courts of the State. He was always present at these Conventions and was President of the last Convention held. At January 1, 1903 he voluntarily resigned from the bench and retired to the well-earned quiet and rest of his home. During his long career on the bench he made many important decisions and such implicit confidence did litigants repose in his learning and his integrity that appeals were very rarely taken from his decisions. An examination of the cases where appeals were taken, shows that a very small percentage were reversed by the higher Courts. “Judge Hansell was one of the ablest lawyers in the State, and stood easily among the foremost of Georgia’s great judicial lights. With an unfaltering and unerring hand he held the scales of justice evenly poised, meting out justice without fear or favor to all, to rich and poor alike. With a mind richly stored with legal lore, he made the law so plain that all grasped and comprehended it as it fell from his lips. He was an upright and a just Judge. No higher encomium could be pronounced. He wore the ermine for half a century and laid it aside without blur, blot, blemish or wrinkle. The bar and people of the Southern Circuit, over which he presided so long, venerated and loved him as but few men have been venerated and loved. The highest type of the old-time Southern gentleman, he impressed juries and litigants with the purity of his motives and the fairness of his rulings and charges. To the younger members of the bar he was ever ready to lend a helping hand, ever ready to advise and guide them. During his life, Judge Hansell was chosen for office under every form of appointment and election that has existed in Georgia; gubernatorial, legislative and popular. At the time of his death Judge Hansell was the oldest Mason in the State of Georgia. He always took a marked and active interest in the work of this great order. He was made a Master Mason in the Milledgeville Lodge in 1838. A few years later he became a Royal Arch Mason and a Knight Templar at Macon, Ga. He served as Master of the Hawkinsville Lodge, was High Priest in the Thomasville Chapter and was an officer of the State Grand Chapter. Just a short while before his death he attended the Thomas County Convention of Masons and made a speech that greatly affected his Masonic brothers.